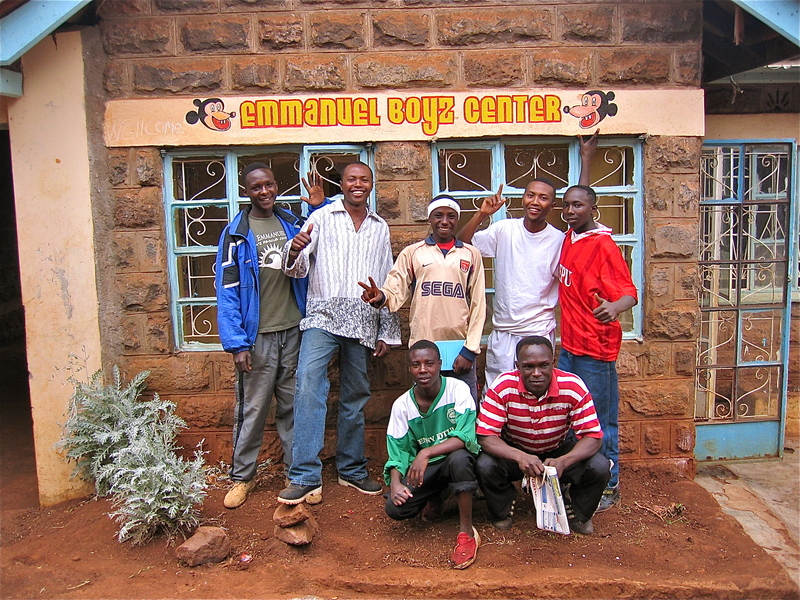 The Emmanuel Boyz Center helps street children in Nairobi, Kenya. 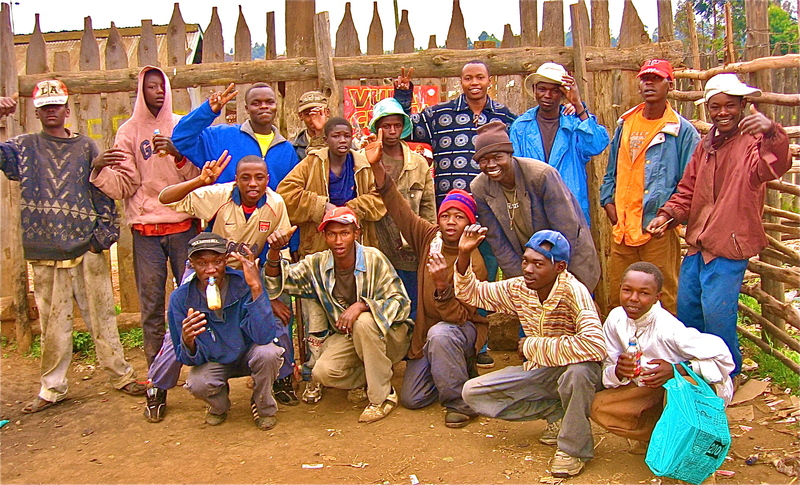 Daniel Nduati (center) and staff with street boys in the Dogheretti area of Nairobi. Several of the boys are sniffing glue in the photo. Most of the area’s street boys are drug-addicted and HIV+.